When SafeLane’s marine director Chas Reid began unexploded ordnance (UXO) clearance discussions with the team in charge of London City Airport’s (LCY) planned expansions, no one could have imagined how big the project would grow. 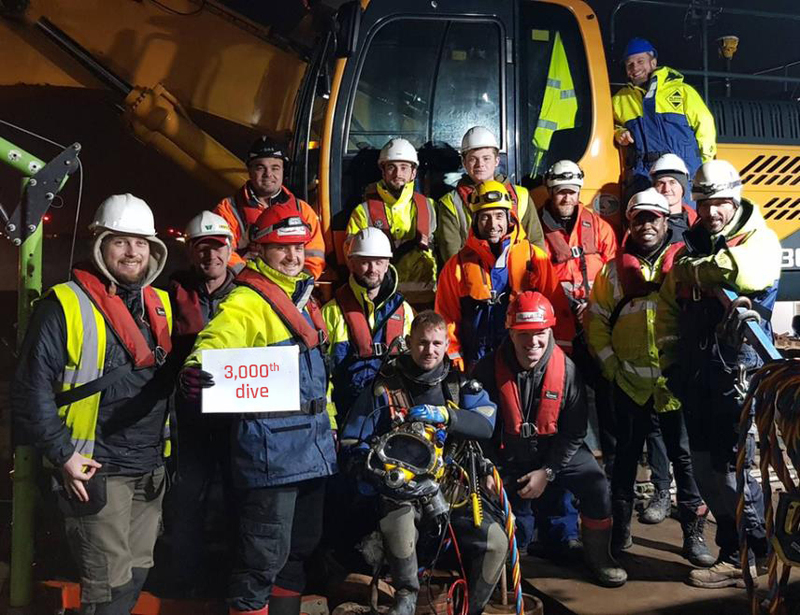 Last week, the dedicated divers and their support teams clearing King George V Dock and making the waters around London City Airport safe from unexploded ordnance (UXO) and other contaminants, clocked up an unprecedented 3,000 safe dives. To put that into perspective, it makes SafeLane’s LCY operations the largest civil inshore diving operation! An initial desktop risk assessment of the dock targeted for the airport’s expansions identified a likely high risk of unexploded bombs lying within the footprint of the proposed development. Investigation and clearance of potential UXO targets and the removal of obstructions ahead of piling activities was therefore planned. SafeLane Global began operations early 2018 and quickly proved their value when they discovered a 500kg unexploded bomb from WWII. The London City Airport bomb was found on the extremity of the current airfield during night time dive operations. It then became crystal clear that full clearance had to follow. SafeLane is now clearing the last 20 survey locations around hold 27, and the project is nearing completion. The plan is to finish early in the new year, assuming no other unexploded ordnance is discovered. The current works are conducted out of operating hours due to the proximity to the airfield, and the divers and their support staff are to be heartily congratulated for their hard work in truly unpleasant conditions in-water. Well done to everyone involved: at LCY and at SafeLane. Read the complete London City Airport clearance case study, or watch a video documenting the WWII bomb find.